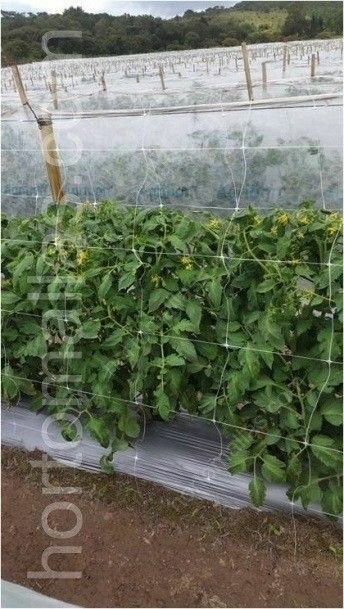 An example of double walled trellis netting. This system reduces the incidence of manually transmitted pathogens. 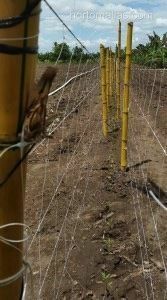 There are various ways of supporting crops and tutoring such as using horticultural support netting (or V-shaped constructions of sticks and bamboo, or threads of raffia knotted or woven together, which is costly in manpower as well as materials because raffia cannot be reused whereas HORTOMALLAS can). 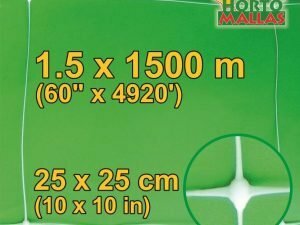 These are designed so that as much as light as possible can reach the plants and they can be adequately ventilated to avoid diseases caused by excess moisture. Video. 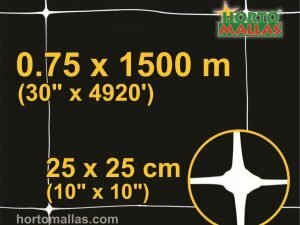 A comparison between HORTOMALLAS and raffia. 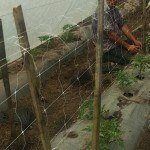 The main advantage of using horticultural trellis netting when tutoring crops instead of raffia is as regards phytosanitation. 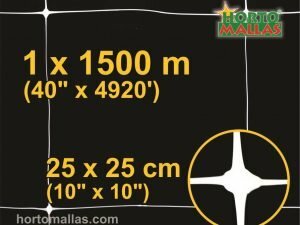 HORTOMALLAS trellis netting substantially reduces the manpower needed when guiding the plants. 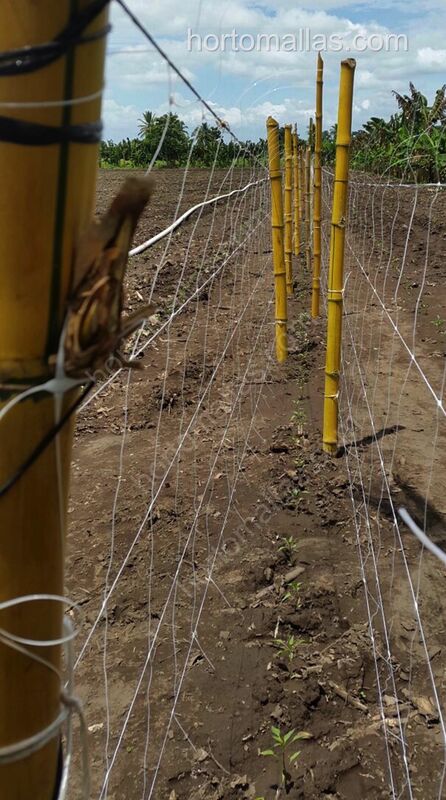 HORTOMALLAS allows the plant to be guided naturally to a good height supporting itself against the netting or ravelling its tendrils around the squares of the netting as shown in the photo above. 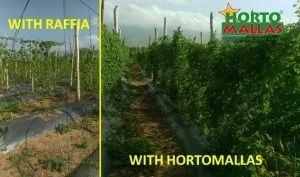 By not touching the plants as much as when using raffia systems, the chances of mechanically transmitting pathogens that cause a virus, bacteria or fungus from plant to plant using the workers’ hands as a vector is greatly reduced, whether they be tomatoes, cucumbers or bell peppers. 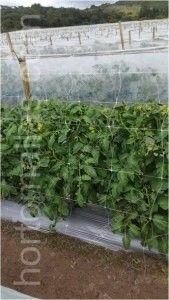 HORTOMALLAS trellis netting works incredibly well in combination with INVERNAVELO sheets for microtunnels.